The revision of the ECOWAS treaty in 1993 which expanded the scope and power of the Directorate of Political Affairs, Peace and Security (PAPS) was necessitated by political realism and the challenge presented by the tendency of eruption of conflict in the area. Therefore, the realisation by ECOWAS that political and social stability in the region are two crucial ingredients of building sustainable growth and development is the primary reason for the existence of PAPS. ECOWAS is convinced that even though economic integration is paramount in the realisation of its mandate, regional peace and security, conflict prevention and management, peace building, democracy and good governance are the vehicles to get there. In accordance with its charge, PAPS also facilitates electoral assistance to Member States through capacity building for Electoral Management Bodies (EMB), observation and monitoring of elections. Additionally, it promotes and consolidates good governance through capacity building for political parties, legislative bodies, the Judiciary and the media, as well as human rights and anti-corruption institutions. Further to this, it is actively involved in the support for ECOWAS Mediation efforts and Organs (The Council of the Wise, Mediators and Facilitators) while facilitating and servicing the Mediation and Security Council at the ambassadorial, ministerial and Heads of State levels. To this also belong the high-level political meetings with external partners, including the African Union, the United Nations and the European Union. Some of the glaring interventionist programmes embarked upon by PAPS which falls within the mandate spelt out in the extant Normative Frameworks includes conceptualisation of reform measures for the long-term stability and development of Guinea Bissau. This in turn contributed immensely to the resuscitation of the International Contact Group on Guinea Bissau (ICG-GB) as one of the platforms for mobilising partners’ support for the implementation of the reforms, thus ensuring the consolidation of peace, stability and development. Malian local stakeholders were mobilised to participate in the Algiers Inter-Malian Dialogue and ensured that the series of talks in Algiers were conducted in line with the Ouagadougou Preliminary Agreement. PAPS is the main driver of the ECOWAS Commission’s participation in multilateral programmes, including the UN General Assembly and the AU Summits enhancing in the process, international consensus on strategies to support the stability in the flash points of the region. Under its banner, the resurgent challenges in maritime security and terrorism are being addressed. By the same stroke, measures aimed at tackling problems such as the Ebola Virus Disease (EVD), genocide, bad governance and underdevelopment continue to be articulated. 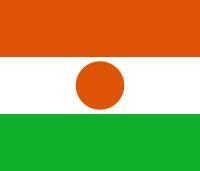 Today, the Mano River Union (MRU) Peace and Security Strategy and the Sahel Strategy, as well as to their Operational Plans have been adopted regarding the ECOWAS Conflict Prevention Framework (ECPF). In the area of Democracy and Good Governance, an ECOWAS Manual for Reporting on Human Rights according to specific thematic issues has been developed. Now, the ECOWAS Training Modules on Mainstreaming Youth and Women in Party Activities and Media Relations and Effective Campaign Strategies for Political Parties has come on board since December 2013. There has also now been instituted in West Africa, a comprehensive support to the Electoral Institutions in involving technical support for voters’ registration, capacity-building for the Electoral Commission, financial assistance for election logistics, deployment of long-term Election Observation Mission, and a Short-Term Mission for the conduct of the Elections, as well as national sensitisation and local mediation to rally stakeholders for the peaceful conduct of the elections. An ample demonstration that peace-keeping and regional security is high on the agenda of PAPS is provided by the activities of the ECOWAS Standby Force (ESF) and Mission Management and Planning Cell (MPMC). These two platforms have facilitated series of training-related activities. Specifically, in line with the doctrine of the ECOWAS Standby Force, a strategic workshop was organised in March 2013, with financial support from the German Agency for International Cooperation, for the purpose of building the capacity of the police component of the ESF. But there is also a civilian component as a part of the Integrated Planning Element of the ESF. It is to enhance the work of this component of the ESF that a good working relationship has been established with the ECOWAS Training Centres of Excellence for the development of the civilian dimension in Peace Support Operations (PSOs). There is also a roster as well as a database. 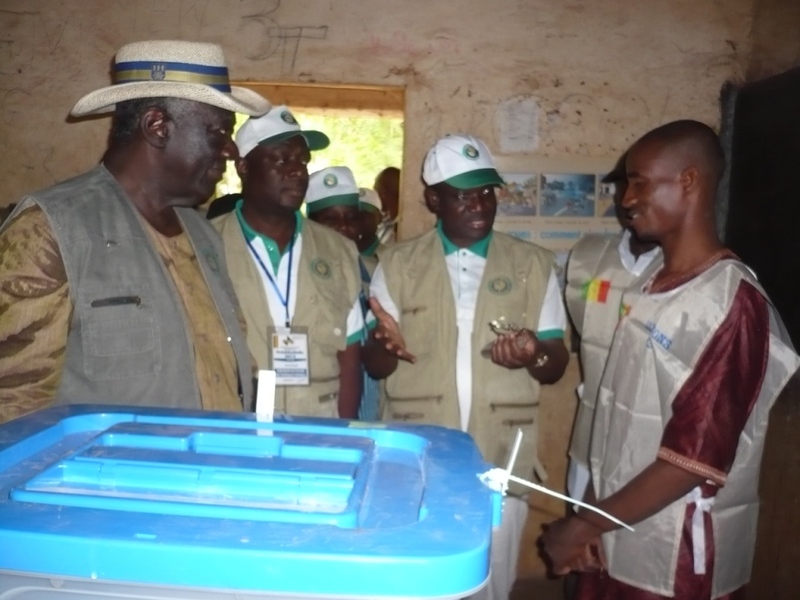 As ECOWAS climbs up four decades in existence, proactive measures through pre-election Fact-Finding Missions and Early Warning Missions have been undertaken in aid of elections slated for 2015 in Burkina Faso, Cote d’Ivoire, Guinea, Nigeria and Togo among other pro- stability activities.